Eat dinner together. 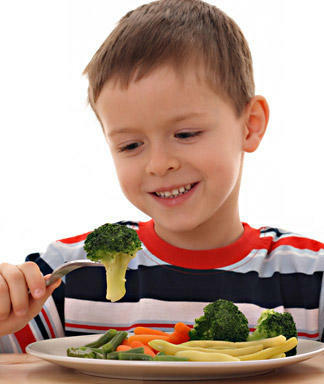 This prevents children from eating in front of the TV, which can often lead to less mindful eating. 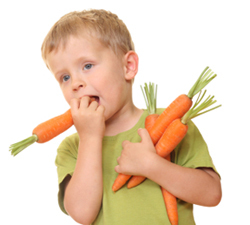 Eating a variety of five fruits and vegetables a day can reduce other child obesity health risks. Eat more fiber because it helps the digestive system and keeps the stomach full longer. Also, look at low-fat / fat-free options of everyday dairy foods. According to children.gov, after the age of two, children do not need the fat provided by dairy products. The most important thing a family can do to prevent childhood obesity is to be a role model and model the lifestyle that you would want yourself to live. Besides a healthier diet, regular physical activity and a less sedentary lifestyle -- watching TV, sitting on couch -- should also be included as important strategies. 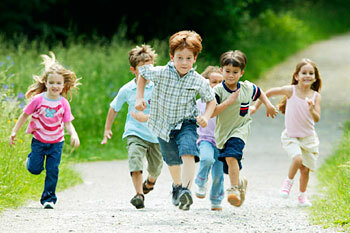 Getting more exercise helps reduce the occurrence of "inherited genes that cause obesity" (TIME Magazine). Overall, by exercising people can reduce their genetic risk of obesity by 40% compared with their inactive peers. 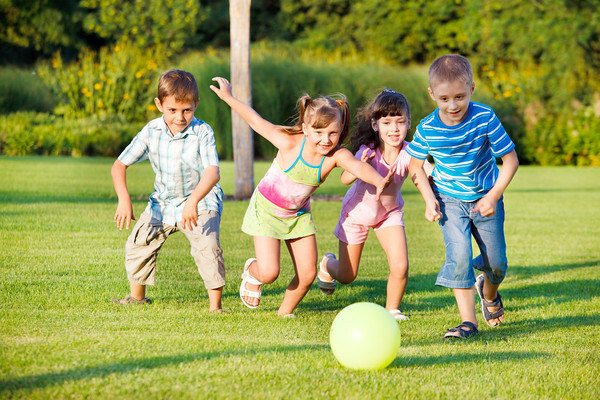 Parents, examples of exercise for your children can be found through school resources. 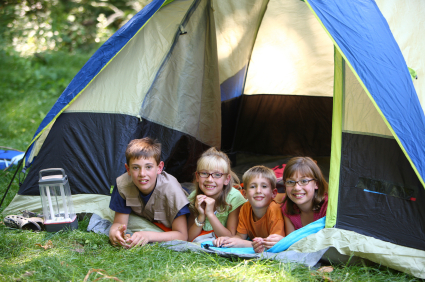 Other methods can include outdoor activities like camping, basketball/sport leagues and running. By having children a part of the meal planning process, children will not only learn about their foods, they will also develop healthful attitudes towards food. Psychology has proven time and time again that humans learn best by doing, not watching. For instance, it is simple and engaging to have toddlers help in the kitchen by washing vegetables, scrubbing potatoes, to learn the names of foods, and to talk about food. 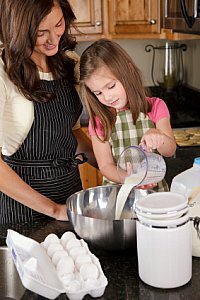 Moreover, you can begin to save time in the kitchen by giving your children hands-on jobs during this time period where their motor skills are fine-tuned. 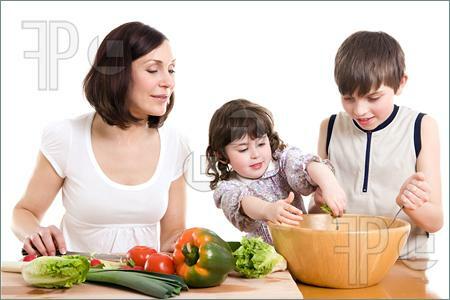 Kids can help with shaping meatballs, snapping peas, tearing lettuce, peeling bananas, etc. 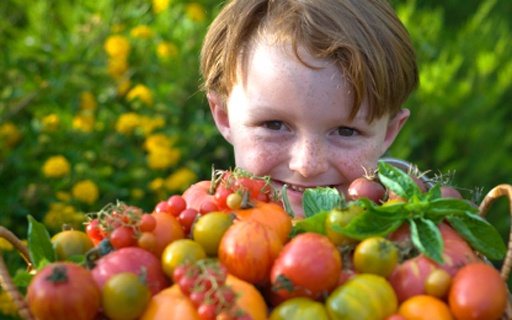 With time, this early involvement will progress into healthy independence in the kitchen. If there are favorite meals that your children enjoy, encourage them to take the lead, to buy the ingredients, to make the food, and just setting an example early on will lead to more involvement from the children, and in turn will result in healthy choices.